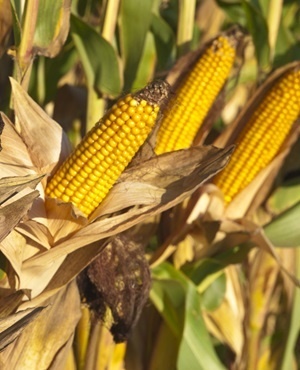 South Africa is likely to miss forecasts for maize production this year because dry weather conditions have delayed plantings and possible frost at the end of the season may hurt the crop, said the Agricultural Business Chamber. The chamber had estimated production for the 2018 to 2019 season at 12.2 million tons, it said in an emailed statement on Monday. Late summer rains in the Free State and North West provinces mean farmers planted after the optimal window to sow closed in mid-December, it said. By January 11, 60% of the intended area for the North West was planted, while the figure was 70% for the Free State, while other regions managed to plant typical areas, the chamber said. The dynamic suggests that the intended area of 2.44 million hectares for maize in the 2018 to 2019 season could probably fall by about 19% to 1.98 million hectares, said Wandile Sihlobo, the head of agribusiness research at the chamber. "This would be almost in line with the area planted during the drought period of 2015 to 2016 production year. At that time, South African maize production amounted to 7.8 million tons, turning the country into a net importer, as annual maize consumption is roughly 10.8 million tons," he said. The country is Africa’s top maize producer, but profitability has been squeezed as a record crop in 2016-17 that boosted stocks was followed by another good harvest in 2018. Rainfall in 2015 was the lowest since records began in 1904 because of El Nino, with cities including Johannesburg recording their highest temperatures yet. Cape Town, among the continent’s top tourist destinations, is recovering from its worst drought that’s seen water rationing.